Two P1 marine motorsport championships are set to return to Bournemouth over the weekend of 3 and 4 September for the season finale. 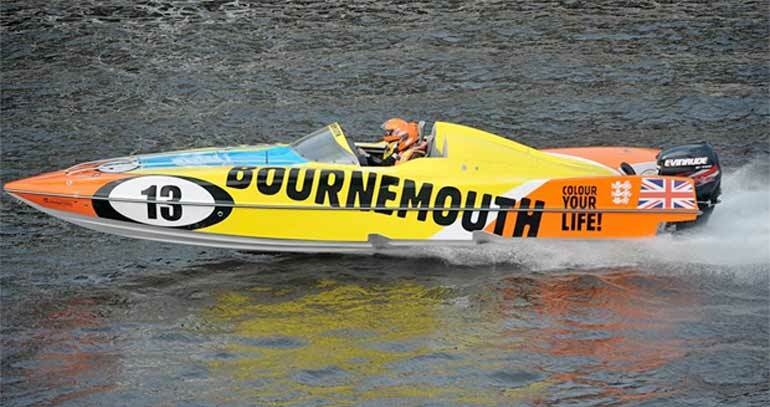 A fleet of 11 powerboats and more than 30 jet ski riders will provide a feast of high-speed action close to the pier. This will be P1’s third visit to the town and the impressive growth and quality of Bournemouth’s free events programme plays a major role in the promoter selecting it as a host venue for its national championships. Another key factor in the decision is the superb amphitheatre setting for spectators to watch the racing from the cliff top, beach and pier. The Bournemouth race action will be shown on Sky Sports and Motors TV and on leading sports channels in more than 100 countries. Over 30,000 spectators are expected to watch the two days of racing.